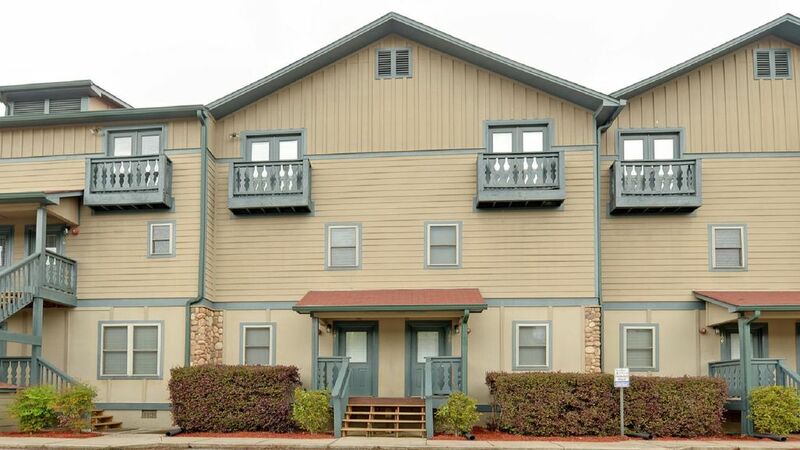 Enjoy The Hot Tub, Fireplace, And Walk To Town For All Your Entertainment. This Unit Has 2 Master Suites (King Beds), 1 Twin Bedroom, And 2.5 Bathrooms. Well appointed luxury condo with two master suites and a bonus bedroom with a twin bed, full kitchen, a gas fireplace and screen porch with hot tub. You are within walking distance to famous Betty's Country Store, as well as all other shopping and restaurants . Plus, close proximity to tubing the Chattahoochee, hiking, waterfalls, horseback, golf, wineries, ziplines, kayaking, swimming, and miniature golf. If you find you need more space, let me know. We may be able to accommodate you. Jack and I moved to this beautiful valley at the foothills of the Appalachian Mountains in 2003. We have loved our new home since day one. It's the people, the beauty, and the outdoor activities that captivated us. I hope you find your experience in and around Helen to be just as rewarding, and then I hope you come back to see us! Both Master Suites have televisions and in-suite bathrooms. Packed into this little village you will find shops, restaurants, river tubing, ice cream, winery, antiques, miniature golf, zip lines, etc. Did I mention ice cream? All within walking distance. Had a wonderful week vacation here at Tuscany Villas. The home was clean and so comfortable. Looking forward to coming back again. Top notch! Better than the pictures. Our Christmas stay was great! The condo was wonderful. All the comforts of home . Easy walk to restaurants and town. Most enjoyable and relaxing. We had a great time in Helen at this cozy little home. The location couldn’t be better. Everything was in walking distance for us. The home was neat and clean. There is a nice fireplace to get warmed up by after walking through town. The kitchen has everything you need. The beds a comfy and we liked that it had 2 masters with bathrooms. Everyone enjoyed the hot tub on the deck. Thank you for offering a great family friendly place to stay. We will come back and stay during the summer in the same place. Thanks, Heather! So glad you enjoyed your stay. You are welcome back anytime. Cozy condo right in the middle of everything! Great location for any activity you would want to do in Helen. Walkable for nearly every restaurant in town with the general store (Betty's) right across the street for anything you may have forgotten. Had everything we needed! Very clean! Very nice and very clean! Within walking distance to everything in Helen. Would definitely book again. Owners are very responsive with questions. Had a fantastic time with friends and family. Our group had a great time and always enjoy staying at this property. Highly recommend.